Are you interested in a career in the telecommunications industry? 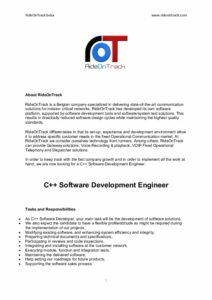 We have an open job offering. More information can be found in the document attached. 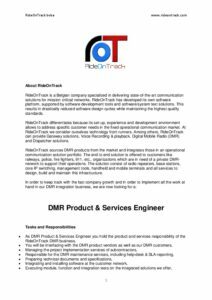 Send your resume and motivational letter to info@rideontrack.com.